2017 In A Sentence: Tom Arth‘s first season in charge of the rebuilding Mocs resulted in a lot of injuries, and more questions than answers, as the Mocs limped to a 3-8 record – though a shock win over Samford was the highlight of the year. Biggest Shoes to Fill: In 9 games, LB Tae Davis (74 tackles, 5 tackles for loss) had a tremendous season when he wasn’t injured. He was the Mocs’ top tackler last season. Key Player: The games Arth won last season were done mostly with defense, and the play of 300 lb NG Derek Mahaffey was a huge part of that (51 tackles, 5 tackles for loss). 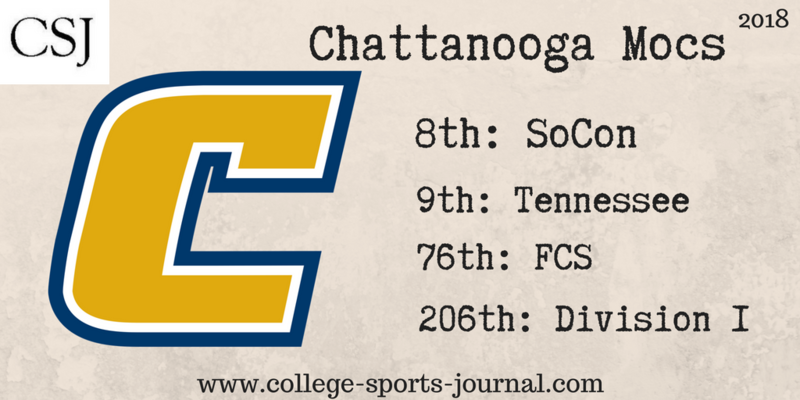 He’ll need to be the keystone of the Mocs defense this year if they hope to contend. Fearless Prediction: When Tennessee Tech comes to town to start the season, the Mocs are going to be in a pretty good position to start out with a win. Unless an offense pulls together in the weeks after that game, though, it will probably be another under-.500 finish this season.